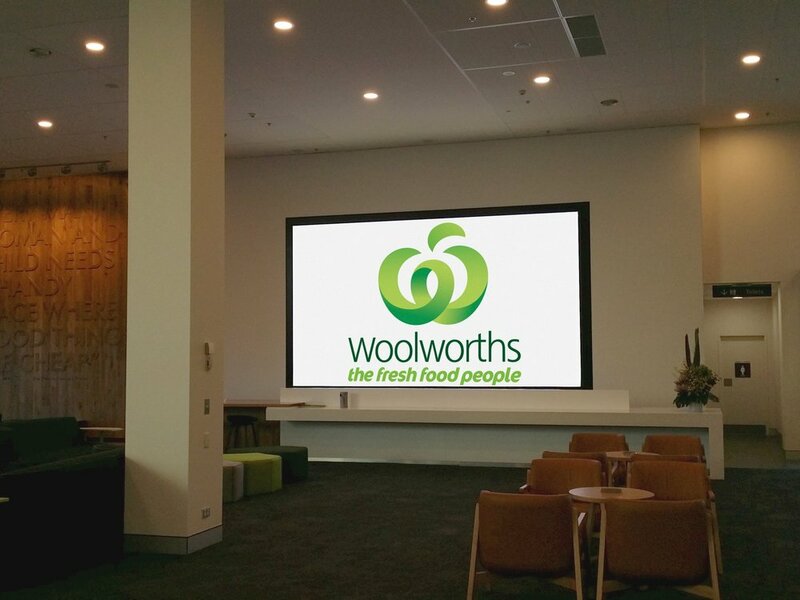 The Woolworths head office in the Sydney West is enormous in all proportions, which is only matched by the cooperation’s size and presence on the Australian market. We were posed a large challenge to us when approached by Woolworths in 2013 to refurnish its office with up to date equipment and technology. 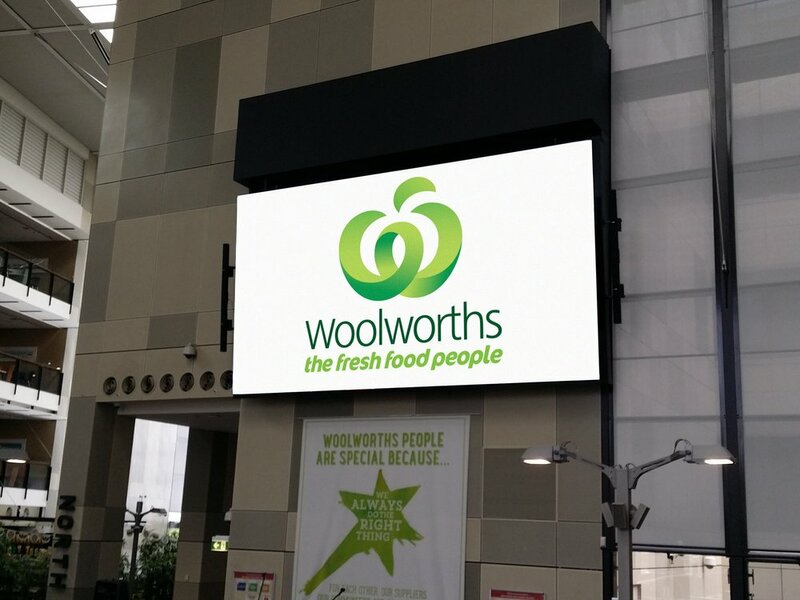 The main feature of the Woolworths head office is the Central Space screen, situated in the foyer of the building, and displays live television as well as digital signage technology. The screen is a massive six and a half meters high and four meters wide and allows the company to communicate with its employees, show special event footage & promotions. Along with upgrades to the foyer display, we installed a new LED screen in the reception of the Bella Vista head office. As this display is located in a communal area, the 2mm Liantronics LED grid wall was chosen to ensure that an appropriate clarity is available even when close to the screen. At five and a half meters wide, and three meters tall, this is an iconic centrepiece to the entrance of the building. Our businesses have continued to maintain a strong working relationship. We have provided further installations including small meeting rooms, conference rooms and an auditorium, which can be separated into three separate sections. Ongoing preventative maintenance is also performed at the Bella Vista office, along with offices at Yennora, Mascot and Pennant Hills.